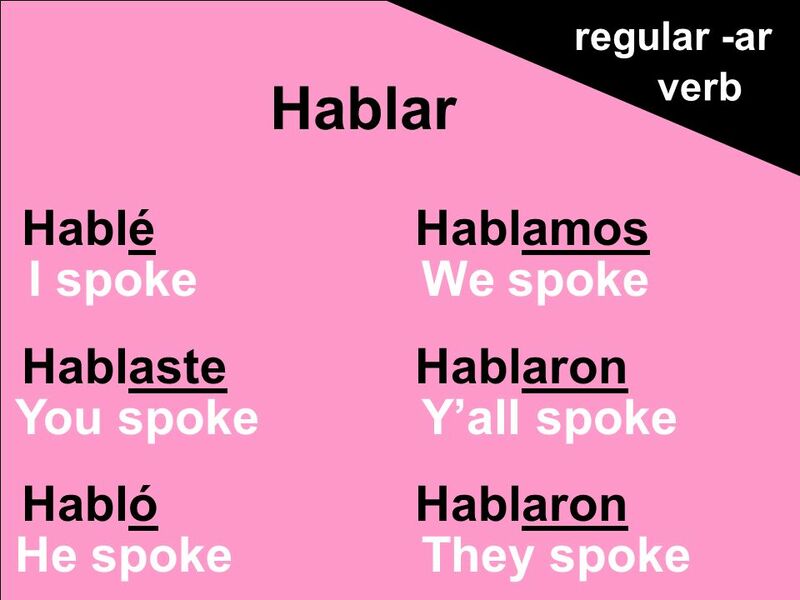 Hablé Hablaste Habló Hablamos Hablaron Hablar regular -ar verb I spoke You spoke He spoke We spoke Yall spoke They spoke. 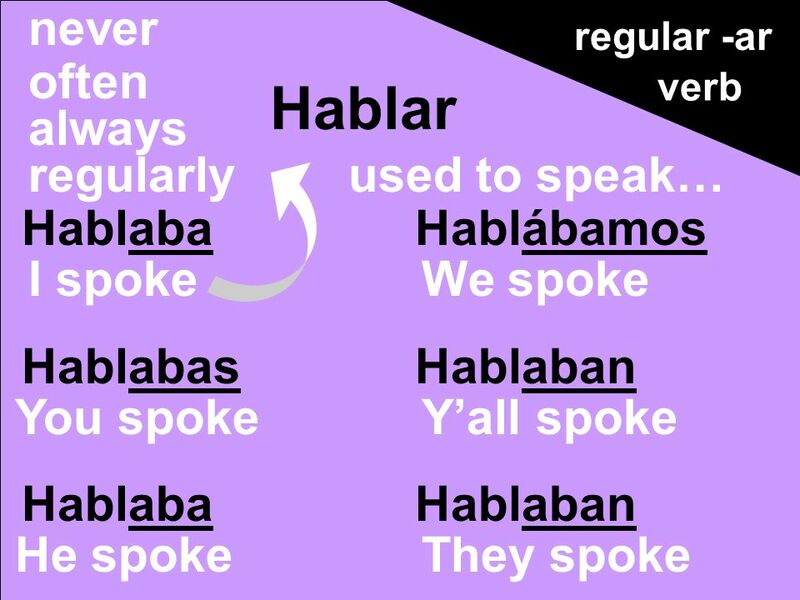 Descargar ppt "Hablé Hablaste Habló Hablamos Hablaron Hablar regular -ar verb I spoke You spoke He spoke We spoke Yall spoke They spoke." 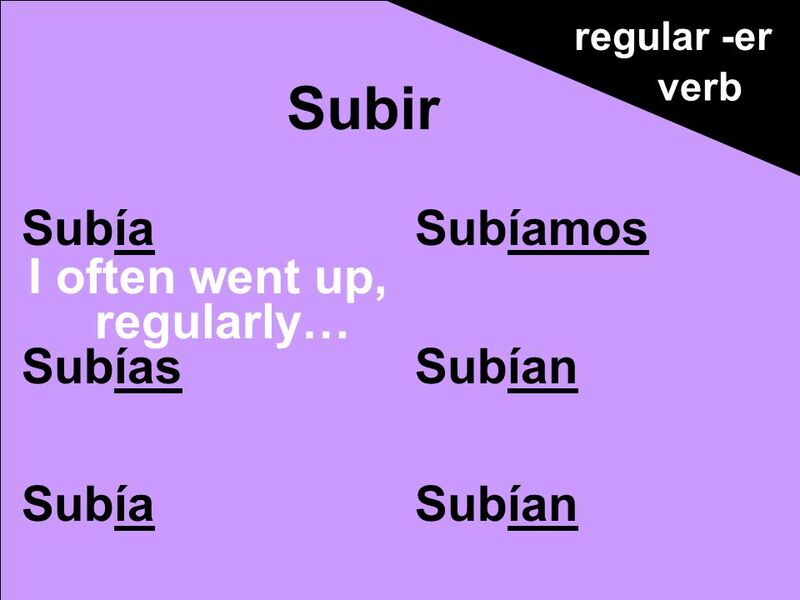 Meta: talk about gifts and past events Pruebita: estudiantes El tiburontiburon Escuchar pg. 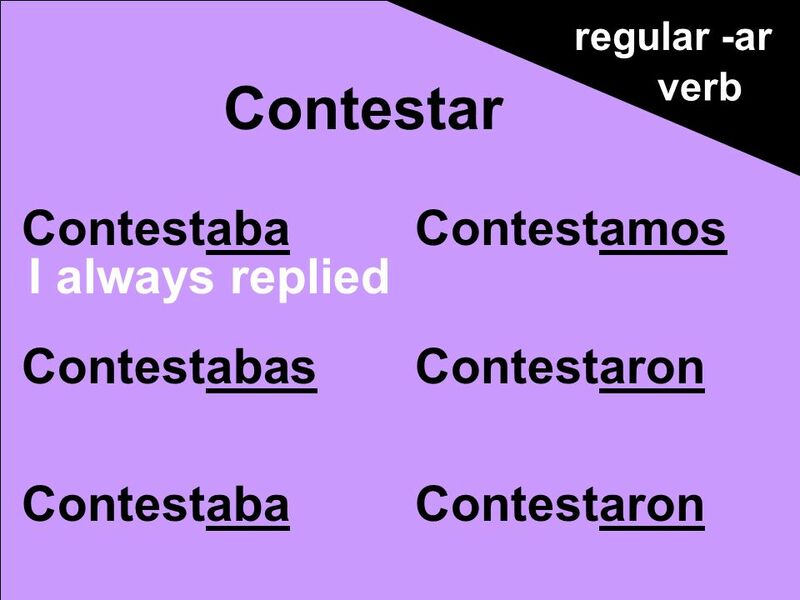 354 act 11 Pg. 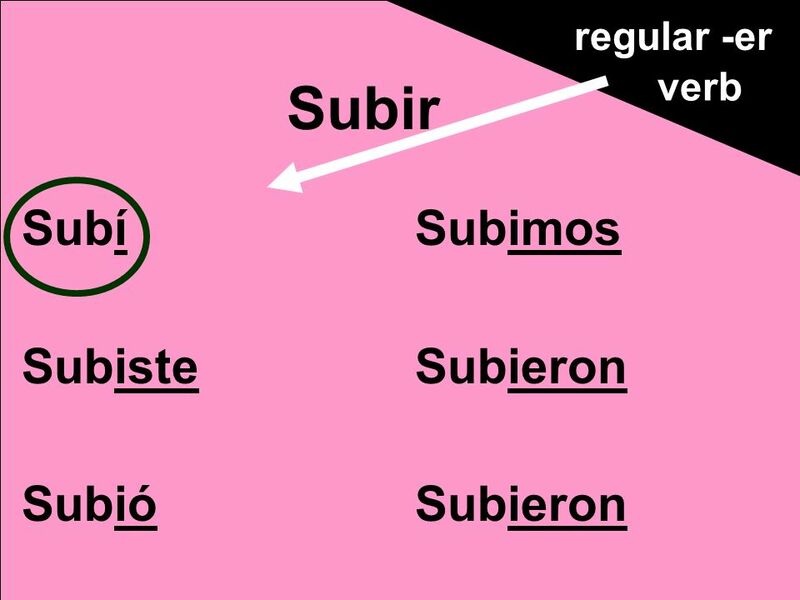 360 otro vocabulario Flashitos Hace + tiempo. Regular verbs. 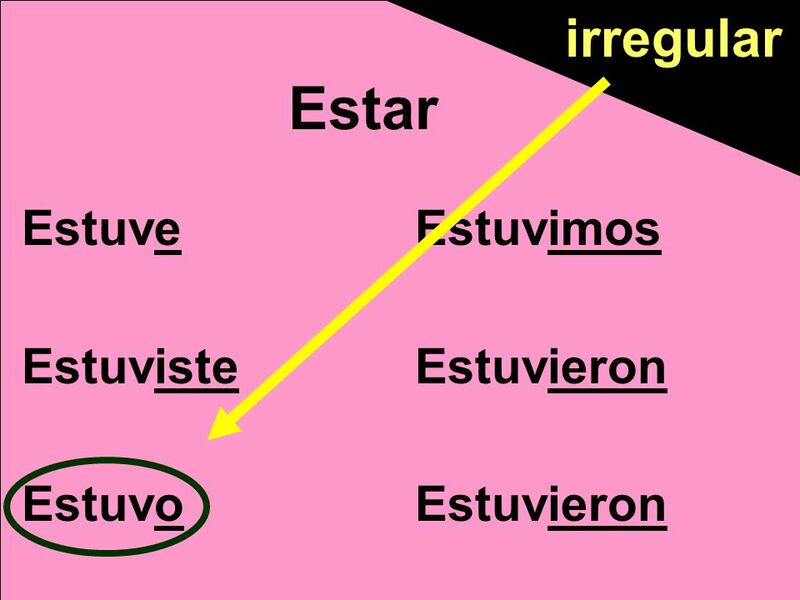 The imperfect tense is quite easy to form and has very few irregular parts. 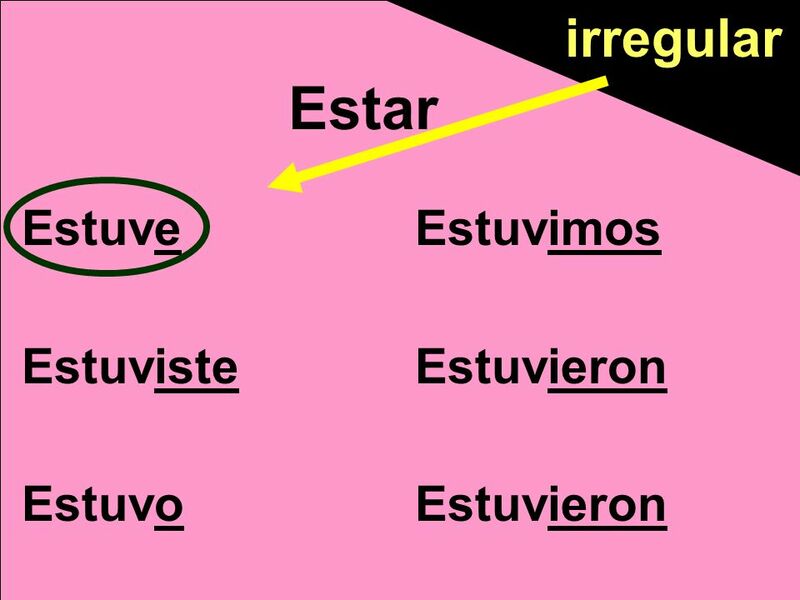 There are only two sets of endings to learn and only three irregular. MFL ©CAS 2002 MFL To achieve a Grade C or above at GCSE, you will have to use the Past Tenses in your Speaking and Writing. There are three tenses that. 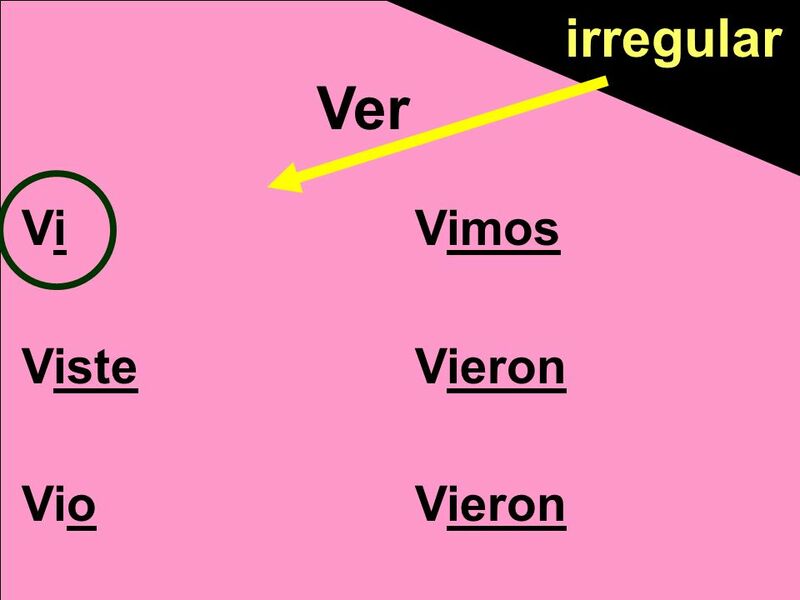 El pretérito irregular Algunos verbos son irregulares en el pretérito. 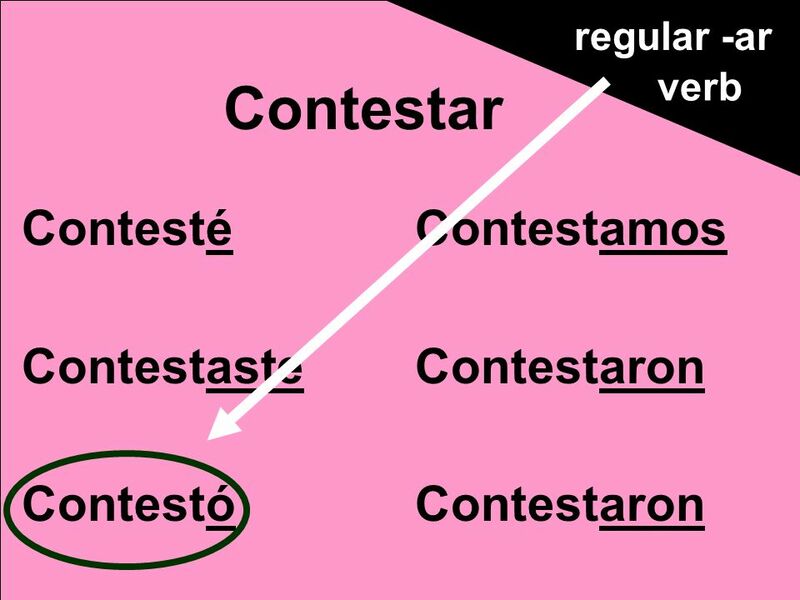 TOP SECRET An introduction to: The IMPERFECT tense. 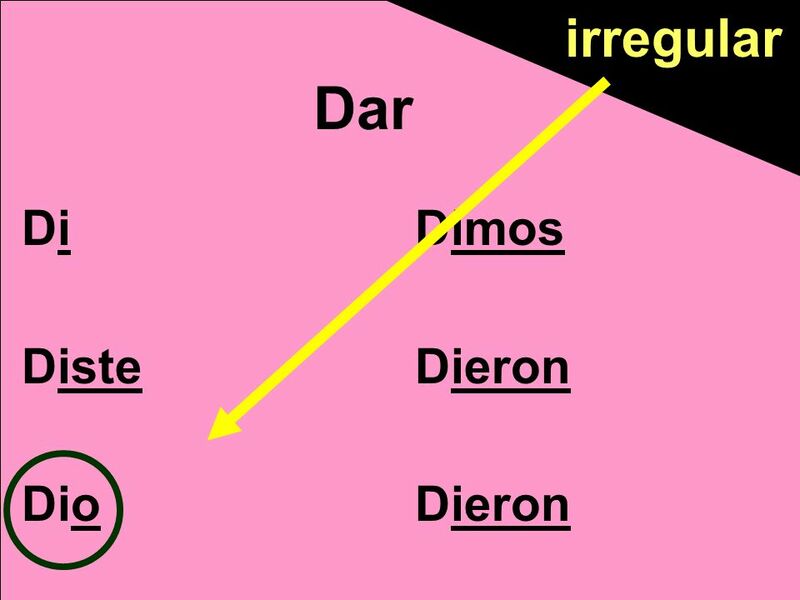 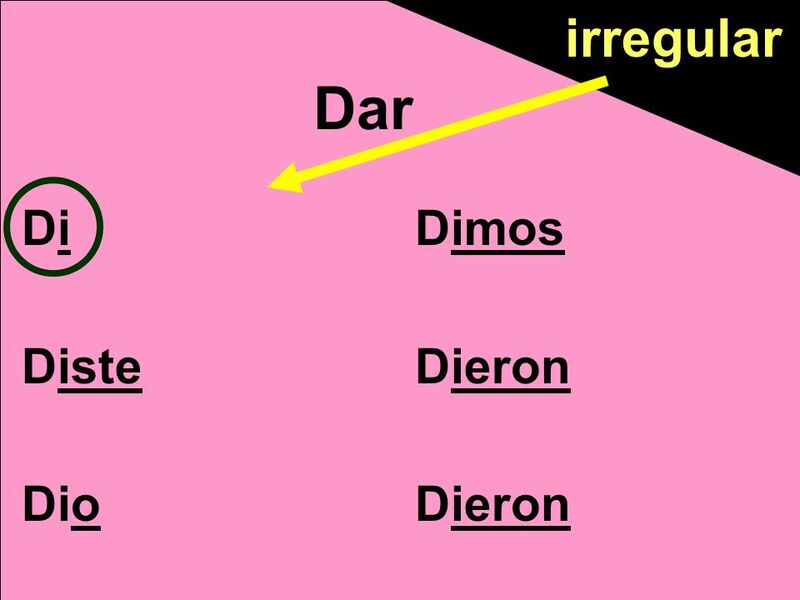 5 New Irregular Preterit Verbs Irregular Preterit Verbs. 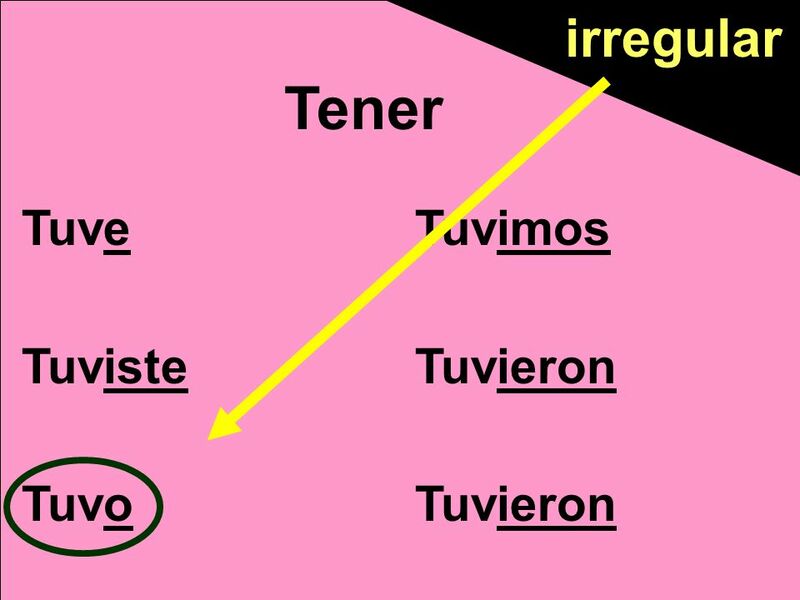 El tiempo pret é rito - formas regulares The Preterite Tense - Regular Forms. 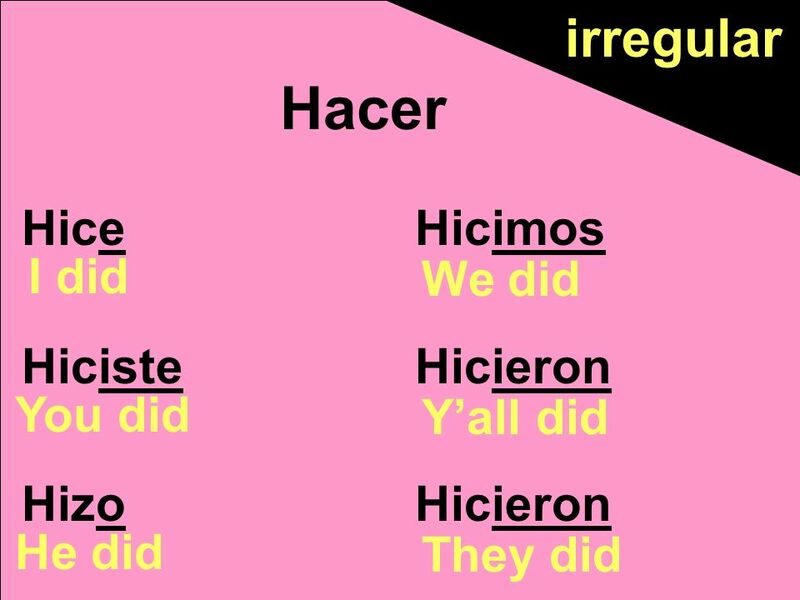 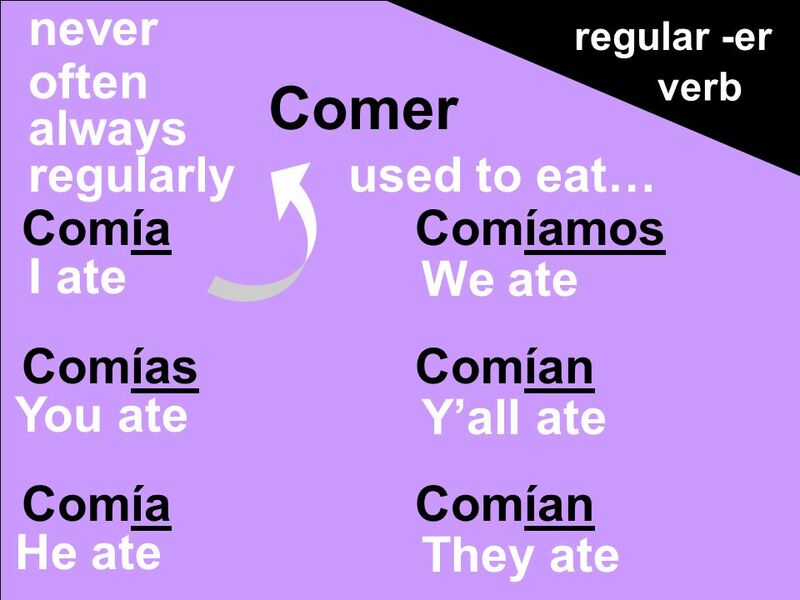 Ir y hacer en el Pretérito To say where you or somebody went and what they did/made. GIVING EXPLANATIONS. 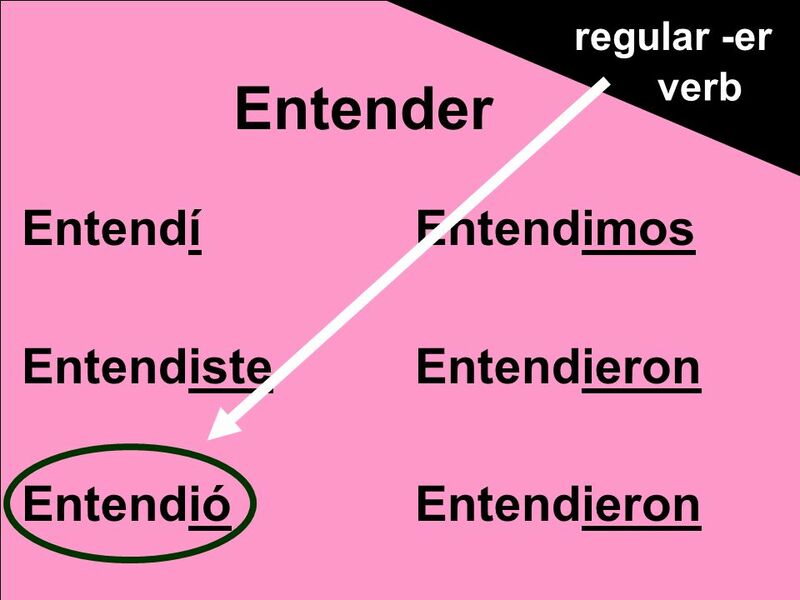  Bueno, es que…. 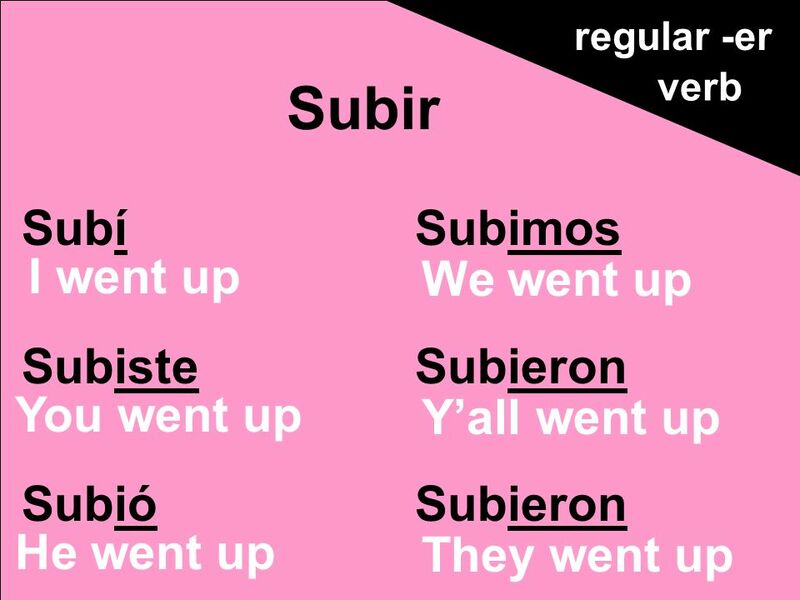  Bueno, es que estudié con María anoche.  Bueno, es que me dormí temprano y no hice mi tarea. 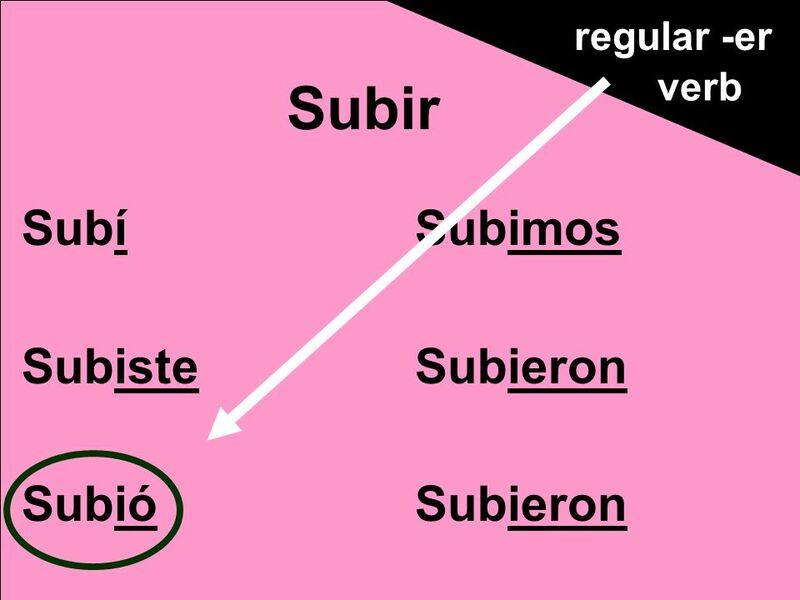  Bueno, es que.